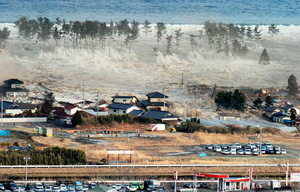 The 9.0 magnitude earthquake and resultant tsunami in Japan devastated huge tracts of northeastern Honshu, the main island of Japan. It was Japan’s worst day since WW2, because the mega-earthquake, mega-tsunami, and nuclear power plant explosions all hit at the same time. Family Care Foundation’s Project Partner Side-By-Side-International, acted promptly in providing necessary logistic support to local NGOs actively assisting the disaster victims. 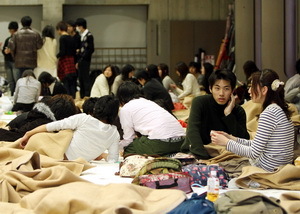 The second and third wave of need, after rapid response and rescue operations, include providing necessities such as food, blankets and warm clothing to keep the victims warm. A partner in Taiwan, provided dry food, sanitary goods, blankets, etc. and two 40-ft containers and two 20-ft containers soon arrived at the Port of Yokohama, where they were offloaded and transported by 4-ton trucks and trailers to the neediest areas of the northeast.